Hot on the heels of their announcement of the F150 diesel option, Ford revealed their new Raptor Ranger during a press conference in Thailand on Wednesday. Everything they showed is of the Asia Pacific market version of the truck, so when this thing finally makes it way across the ocean (and into our hearts), it’ll probably be a little different. If nothing else, it’ll be left-hand drive. Why are we worrying about this? Because it’s sporting a diesel engine, that’s why. The petite Raptor will feature a twin-turbo 2.0L inline four diesel that purports to have 210hp and a pretty-good-all-things-considered 369 lb/ft of torque. Aside from that, it’ll have the improvements that you would expect from something with the Raptor name, such as Fox Racing Shox dampers, integrated tow bar with hooks, BF Goodrich all-terrain tires, similar off-roading modes to what the F150 Raptor uses, and a 10-speed automatic transmission. At the moment, the scuttlebutt is that if this vehicle does indeed head to our shores, it’ll just be a gasser. But where’s the fun in that? If nothing else, Chevy needs a little bit of competition in the mid-size market. The Colorado can’t have ALL the fun. 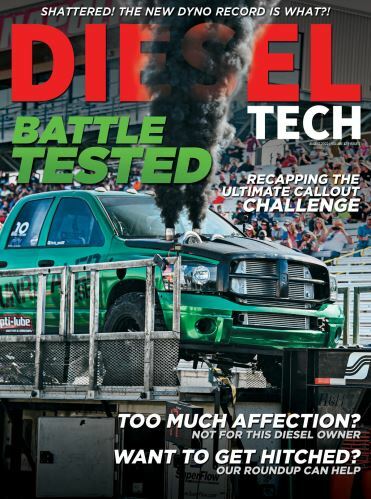 Copyright © 2019 Diesel Tech® Magazine | Published by Harris Publishing, Inc.